Although their Glow Tonic is raved about time and time again, I actually picked up the Beauty Sleep Cream first. I wanted a nourishing night cream that didn’t clog my skin or cause breakouts and this was just the ticket. The cream feels so luxurious to use, light and fast absorbing but thick and creamy enough to feel like it’s actually doing its job, and with a boost of lavender oil, the Beauty Sleep Cream sends me off to dreamland like nothing else. Following on from the above, I was ready to go for the Glow Tonic. Again, this contains Glycolic acid but at a lower rate of 5% meaning it is gentle enough for every day use and is also infused with Aloe Vera, Witch Hazel and Horse Chestnut; hydrating, firming and boosting the skins blood flow. I use this in place of a conventional toner just after cleansing, but again, try not to go over the lips with this. Glow Tonic claims to dissolve dead skin cells and over time, diminish signs of sun damage, fine lines and other imperfections. I haven’t used it long enough to back some of these claims but I do feel as though it does more for my skin than other toner has and it keeps blemishes at bay so I’m a pretty happy customer. And finally, the Hydrating Milky Mist. Now, this is not something I would have actually chosen to buy off my own back – it just doesn’t feel necessary to my skincare routine. But after getting hold of it from the Anna & Lily Cult Beauty Box, I’m so glad it’s in my life. The smell is like no other and it’s probably the thing I enjoy doing the most when it comes to my daily AM/PM skincare process, spraying this on just after cleansing (although you can spray on whenever you like – over make up too if your skin is looking a bit lacklustre throughout the day). This is brimming with Hyaluronic acid which helps the skin retain moisture. I couldn’t really say that this is a must-have product, but I’m getting close to the end of my bottle and I think I’ll be a little sad when the time comes to have to say goodbye! 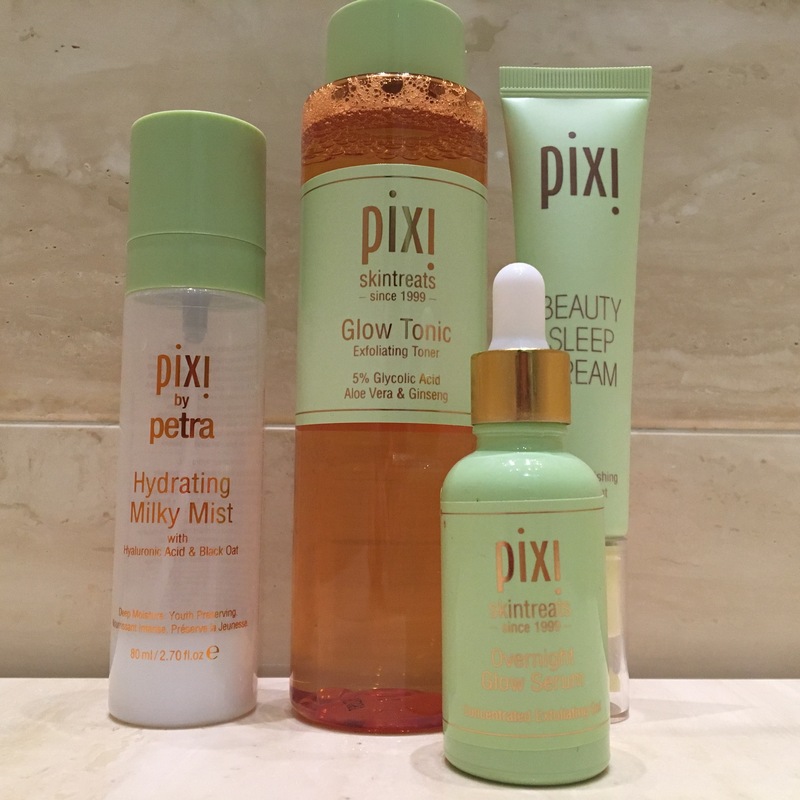 PIXI is available in the UK at Marks & Spencer and online at Cult Beauty. Thank you! Yep very cute packaging, sucked me right in! All those products sound great, I’ve heard so many good things about the tonic. It’s a bit hard to get in Australia but I’m on holidays overseas so am going to see if I can spot it here.